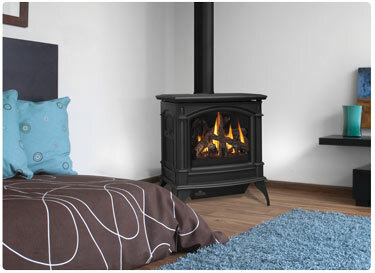 The GDS60 gas stove features a heat radiating, high temperature solid ceramic glass. this sove enjoys a clear, 230 sq. inches of viewing area. Dimensions : 19 1/4" 21 1/4"